"Just what I was after, cheers. Surprised by how sturdy it all feels compared to more basic loft boarding!" This system is the only one of its kind approved for use by the BBA (British Board of Agrément), the leading body in construction. It's also suitable for new build homes — it won't void your new build warranty! You can board as much or as little of your loft as you want to create as much storage space as you require. Our loft boarding package includes all boards (we use 18mm chipboard) and can even be fitted around obstructions in your loft. Simply put, it's the best system out there, professionally installed at your convenience! "I was so impressed with everything - from the way you explained everything, the way you went out of your way to address concerns and the commitment you made to completing the job in the time you stated at the beginning." 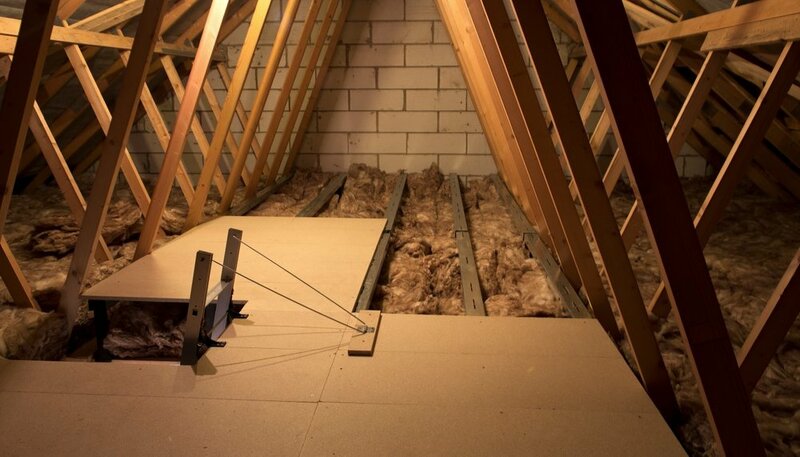 Keep your loft warm with added loft insulation. 25% of all heat lost from a home is through your roof - it's why loft insulation is so important. We can install new loft insulation or add to any pre-existing insulation to government recommendations of 270mm. Loft insulation helps keep your home warm in the winter and cool in the summer. It also helps your home's energy performance rating and can even prolong the life of your boiler. If you want to use your loft for storage or occasional access, why not consider some loft boarding as well? This protects the insulation and makes sure it stays working as it should. Make the most of your loft with Loft Boarding South West!